Military bloggers enjoyed another DoDLive Bloggers Roundtable today with Brigadier Simon Levey, British Army, Commander, Combined Training Advisory Group-Afghanistan. Brigadier Levey was interesting, informative and he brought a new perspective to the training issues for the Afghan National Army (ANA). The efforts of the allies in Afghanistan for 8+ years will be successful if the Afghans prepare for the eventual departure of allied forces with a trained, professional, educated and ethical army. The trainers might be said to be the linchpin of our efforts to win the hearts and minds of the Afghan people. The camaraderie between military personnel, their trust and cooperation can be the glue that holds this all together! Last week we meet with US Army Maj General David Hogg and he led us through the current training efforts of US Forces. Brigadier Levey furthered the discussion by explaining challenges that the coalition of trainers involved within his mission areas bring and the development of a professional ANA. The recent discussion within NATO for additional trainers was the first point of discussion. 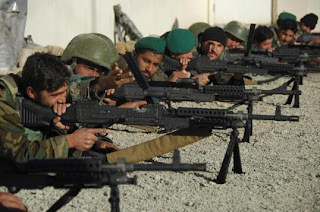 Brigadier Levey said there were three lines of operations and number one started with growing the Afghan Army forces and that the additional 2,000 trainers requested will meet a need for specialty training. They would be used in the multiple military specialties such as combat engineer, communications, infantry, logistics, etc. The Combined Training Advisory Group (CTAG)-Afghanistan's including diverse nations such as the US, France, Germany, Turkey, Romania, Mongolia, Canada, Estonia, and the UK. The CTAG will “train, coach, advise and monitor” Afghan efforts as they develop a professional force. 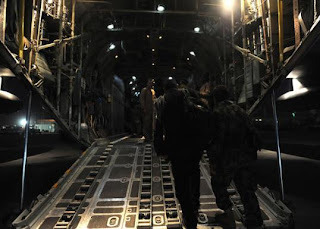 Development of the force is the second line of operations which is followed by mission execution. 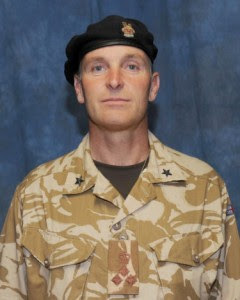 The brigadier supported Genera l Hogg’s comments on the difficulties of training an almost illiterate force and the extra effort they were putting into the education of the Afghan Army. Each level of school continues the literacy efforts with additional weeks allocated to reading and writing skills. He said the Afghans were extremely motivated and the men and women of the CTAG are extremely professional and that they demonstrated “absolutely, perfect coordination” between the different national forces in the training cycles! The trainers have 113 different courses to teach with 20,000 students each day! The additional trainers from NATO would expedite and improve training with their expertise and the expanded classroom and field training available to the Afghans. When queried by one of the bloggers about how aircrew training was going, the brigadier said that although not part of his expertise but he thought it was going well. He also responded to another question about women in the Afghan Army with a very positive comment including the Afghan efforts to incorporate their skills and the beginning of an officer course this year for women. He further explained that the officer development programs for men came from three sources including the Afghan Army Academy, the selection of enlisted members with suitable leadership qualities who attend officer training and third, the integration of the mujaheedan fighters with critical leadership skills developed during combat. The Afghans are enthusiastic about education and learning these skills which should bode well for their future! We can only hope and pray that is true so we can allow them to care and protect their own in the future! If you would like to listen to an audio of the Roundtable or read a transcript please go to DoDLive! A big thank you to Brigadier Levey and the men and women of the Combined Training Advisory Group-Afghanistan for their selfless efforts to make that country a better, more secure and improved place to live! We are so very appreciative!